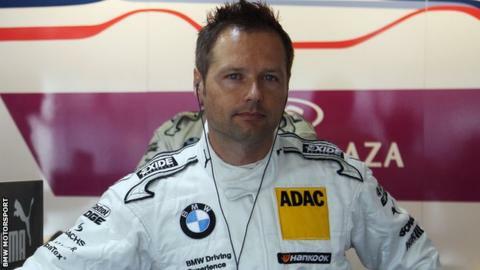 Andy Priaulx achieved more than 50 wins in European, World, German and British Touring Car Championships. Former World Touring Car champion Andy Priaulx has joined Ford GT for this year's World Endurance Championship. The Guernsey-born driver ended his 13-year career as a BMW works driver last month after winning three world titles with the German manufacturer. The new season gets underway at Silverstone in April and includes the famous Le Mans 24-Hour race in June. "This is going to be an amazing season and all I want to do is get behind the wheel of the new car," said Priaulx. "Racing at the Le Mans 24 Hours is always special, but I am also looking forward to racing this car on some other legendary tracks." The 41-year-old will join Marino Franchitti, Stefan Mücke and Olivier Pla on Ford's team for the endurance championship, which was won by Mark Webber and Porsche in November.